Max Relax! - A Dog's Happy Day! Max Relax! A Dog's Happy Day! Max is a high energy playful pup! He loves music, other animals, his friends, family and especially his Mom and Dad! Max sometimes gets bored and needs to find activities that are fun and safe. What do you do when you are bored? 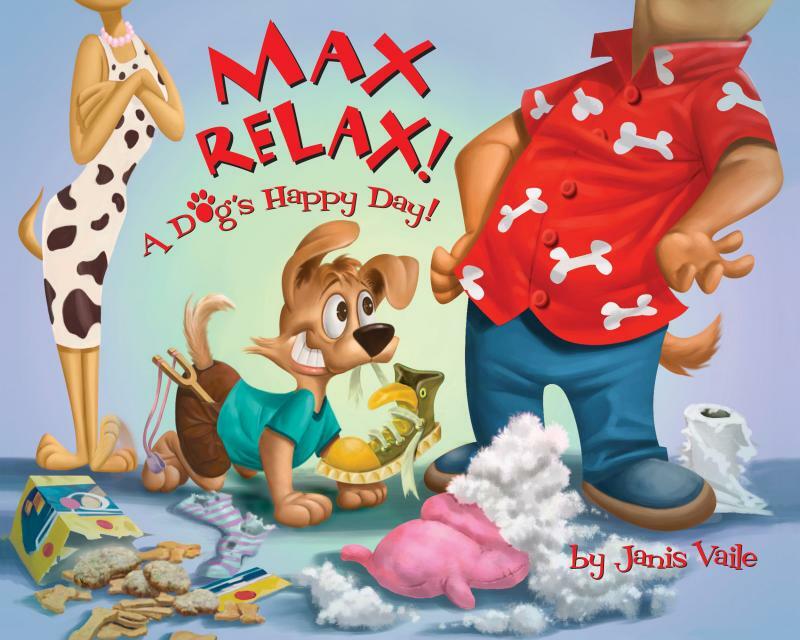 Reading of "Max Relax!" and mini concert by Janis Vaile at the beautiful Thousand Oaks Library. Special guest, Aunt Judeanne, will be reading several selections of her children's books. Join us for a fun-filled morning of literacy while supporting FABULOUS local authors. 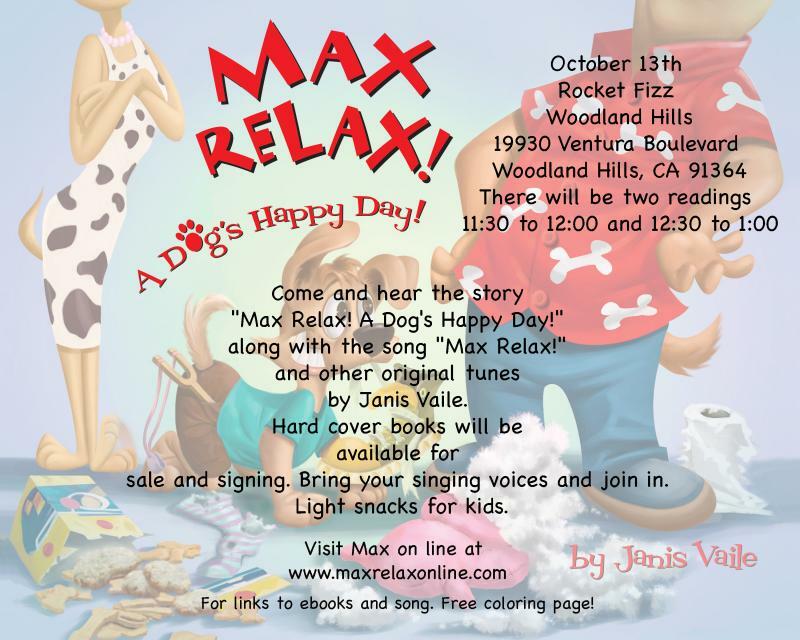 We are proud to host over 10 awesome authors for this Local Author’s Story Time event. Authors Stations will be set-up throughout the store for presenting, selling, and signing books, as well as coloring and craft tables, and other fun activities! 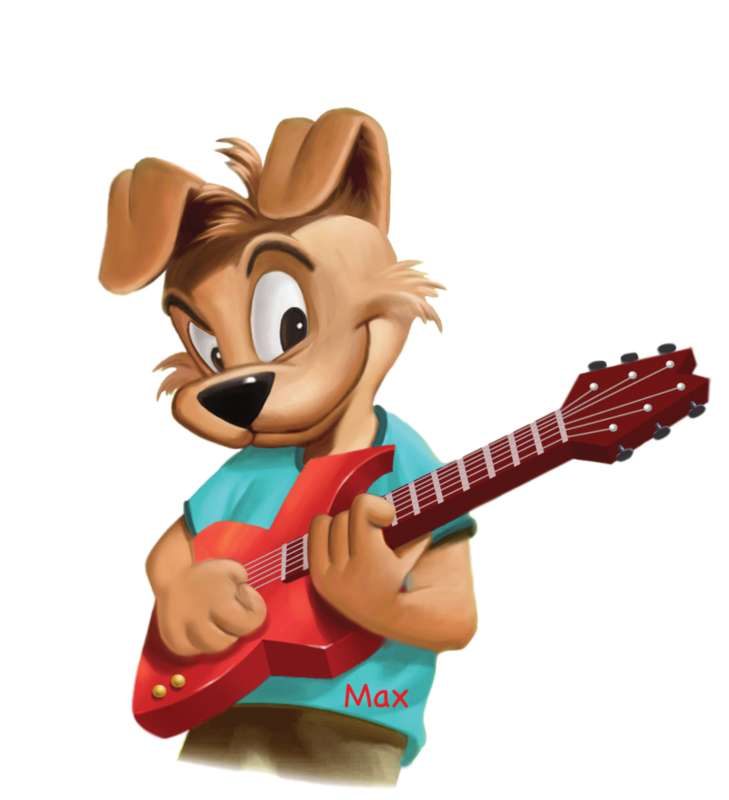 How many strings does Max's guitar have? Copyright 2011 Max Relax!. All rights reserved.